Looking for an honest review of Ancel AD610? Then, you’ve landed on the right page! Better yet, you can diagnose several car models from 52 manufacturers using this scanner. 4 Who Should Buy It? 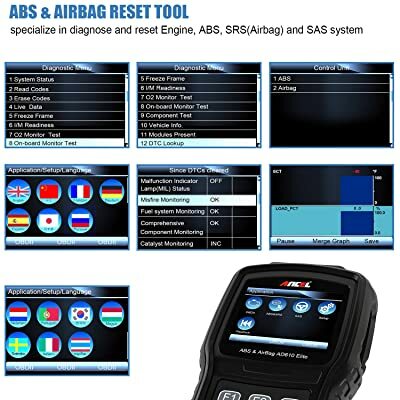 Finding an affordable diagnostic scan tool that can retrieve ABS and SRS codes may not be easy. However, ANCEL AD610 Elite that is slightly priced above $100 can read and clear ABS/SRS codes effectively. Other diagnostic functions of Ancel scanner include engine, SAS, and turning off Check Engine Light. For more elaborate diagnostic functions on ANCEL AD610 Elite, read this in-depth review that highlights the strength and weakness. Whenever there is a problem with your car’s anti-lock brake system, the ABS lights will pop up on the dashboard. This system is designed to keep the wheels rotating when your car is in motion. As a result, the wheels will not lock and skid uncontrollably. However, with ABS lights on, this emergency anti-lock brake system may fail to function. 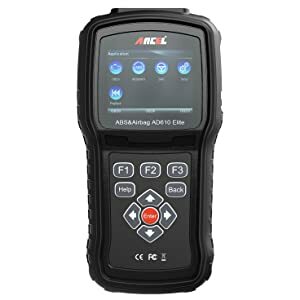 Luckily, ANCEL AD610 Elite will help you to retrieve the ABS diagnostic trouble codes. Besides, you will be able to easily locate the fault because this scanner retrieves and define DTCs on the screen. You will be able to easily locate the fault because this scanner retrieves and define DTCs on the screen. It fails to establish connections in a number of models. There is a need for the manufacturer to update a better list of compatible vehicles. If you have SRS lights turned on then you need to perform quick diagnosis. To do this, you need a scanner that can perform advanced functions. The good news is that you can effectively retrieve SRS codes using ANCEL AD610 Elite. When the SRS lights are on, chances are that the airbag may fail to deploy during an accident. This can pose a serious safety threat while driving your vehicle. The SRS diagnostic trouble codes that you can retrieve using this scanner are codes for defective airbag, faulty seat belt sensor, low battery voltage, and faulty seat belt latch. If you are a DIY then you can fix the problem, and if not, you can take your vehicle to a mechanic. Once the problem has been fixed, you will use the scanner to turn off SRS lights. 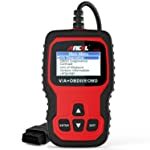 You will find that this code reader cannot retrieve SRS codes or even clear SRS lights in most of the foreign models. When SAS calibration angle is not at zero, a diagnostic trouble code is generated that causes the SAS light to pop up. If you have undertaken wheel alignment or replaced the stability control components of your car then you need to perform SAS calibration. A failure to perform SAS calibration can cause a dragging effect on the tires and may cause the vehicle to veer off the road. For you to perform SAS calibration, you need to have an OBDII scanner that can perform advanced functions. Luckily, ANCEL AD610 Elite can effectively perform SAS calibration on most vehicles. The best part is that it guides you on how to set the SAS angle to zero. Thereafter you can use the scanner to turn off the lights. A link error is generated in most models when trying to perform SAS calibration. Another downside is that this scanner only supports SAS on some specific models. The models include all OBDII cars, light trucks, and minivans including the latest 2015/2016 models. The scanner also supports all the five OBDII protocols. Besides, it is multilingual and supports code definitions. The compatible models include all OBDII cars, light trucks, and minivans including the latest 2015/2016 models. The scanner also supports all the five OBDII protocols. Effectively checks electronic components of your car. It comes with a manual with a poor and really clumsy menu. The scanner takes a long time to update. It is not compatible with most models that are listed. Has a worldwide coverage from 52 manufacturers. Support ABS functions on some models. Perform SAS on some specific models. Work most on domestic and few foreign models. 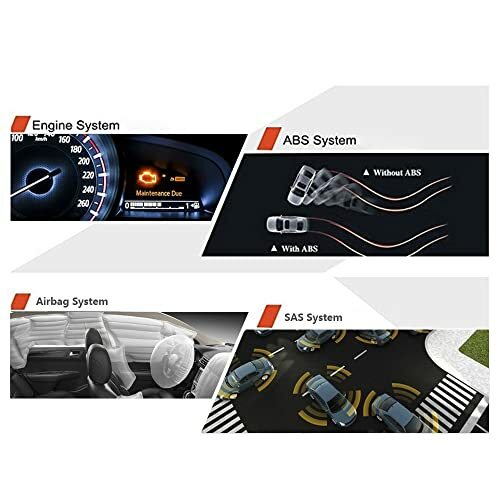 Support SAS functions only on VW series. Only clear SRS lights on some models. Does not perform oil reset. Does not support ABS functions. Does not support SAS functions. Does not clear SRS lights. Does not support live data and graphing. Clear SRS lights only on VW series. Works only on U.S models. Support live data and graphing. Performs oil on VW series only. ANCEL AD610 Elite is built for car enthusiasts and mechanics who want to perform more than just checking the cause of Check Engine Light. It supports a number of basic and advanced functions such as bidirectional tests, supports all the 10 OBDII test modes, and mode 6 functionality. 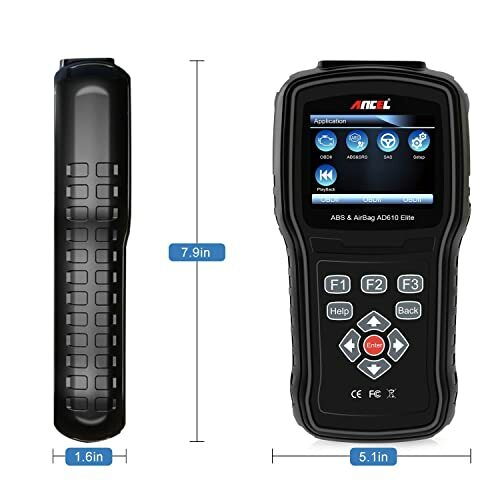 ANCEL AD610 Elite is a good scanner when you want to perform some advanced functions. Some of the advanced functions that this scanner can undertake include ABS, SRS, and SAS functions. However, it can only perform these functions on some models contrary to what is indicated in the manual.